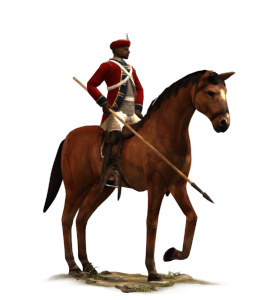 Though prematurely abandoned by many European armies, the lance remains a formidable weapon when used at the charge, concentrating the weight of horse and rider into a single needle-sharp point. The lance has retained its popularity in India, a centre of excellence with the weapon. The term ‘sipahi’ has its roots in ancient Persian where it means simply ‘army’. In common with cavalry formations the world over, sipahis have an air of high status and their elaborate arms, mounts and armour underline the fact that they are not mere foot-sloggers. A general who can call on their knows that once battle is joined, the shock of their charge, skilfully applied, can swiftly destroy all but the most resolute and disciplined enemy. A military academy is a training establishment for young officers, those who must rely on talent, rather than connections or wealth, for preferment. This is the centre of the army’s bureaucracy, where clerks and secretaries of state labour to make the fighting soldiers’ lives as awkward as possible!